Is the Lake Half Full or Half Empty? You might have heard that California is in the midst of a four-year drought, looking at the real possibility of year five. I am here to confirm that is true. Over the past year, pictures of Folsom Lake have appeared showing the lake at an alarmingly low-level. It has been so bad that there have been archeological finds unearthed as the lake level fell. There were even bones from a probable homicide uncovered. Intrepid reporter that I am (? 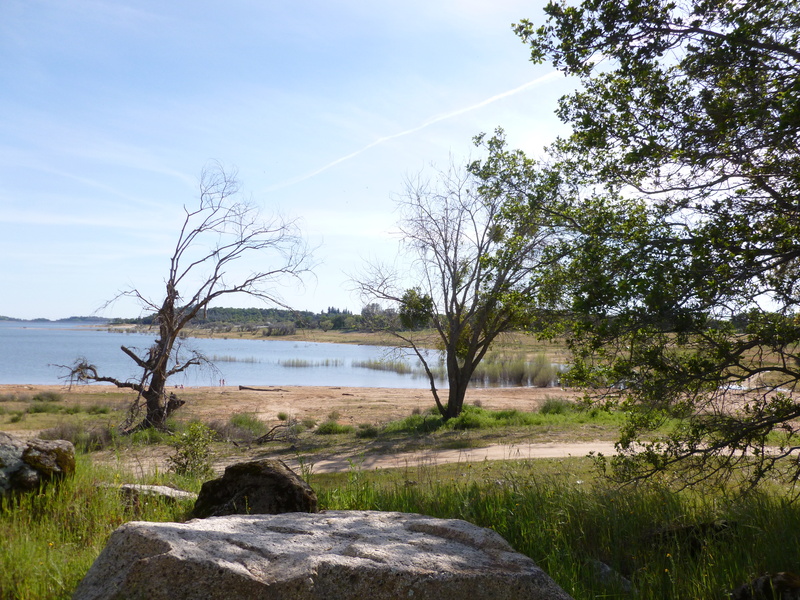 ), I recently visited Folsom Lake to verify claims that due to the recent rains, the lake had fully recovered. While not quite back to “normal”, it does look pretty good. The local paper publishes information on the capacity of local reservoirs and river levels each day, as well as snow depths for the Sierra Nevada. Since California’s water is very dependent on the depth of the snow pack and the water content of the snow, that is critical information. The snow pack is much improved over last year. There is one area that has not improved, and that is California aquifer. The ground water in the central valley has been pumped out to the point that the land is sinking. Only recently has the California Department of Water Resources begun to discuss regulation of ground water. Replenishing ground water, refilling aquifers is not just a matter of plentiful rainfall or a healthy snow pack. 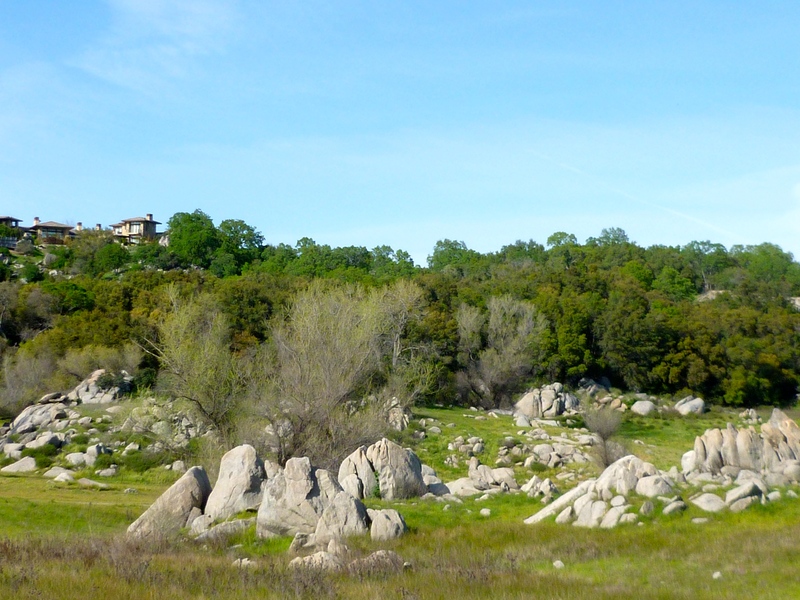 Folsom Lake is located near Rocklin, California. I doubt that any city has been more aptly named. Here is a photo of the land formation typical of Rocklin. Note: Although this area is very close to Folsom Lake, but it has never been IN the lake. California remains beautiful and somewhat green. Glad for a good report. Love that title.